If you’d like to make some, here are the directions. 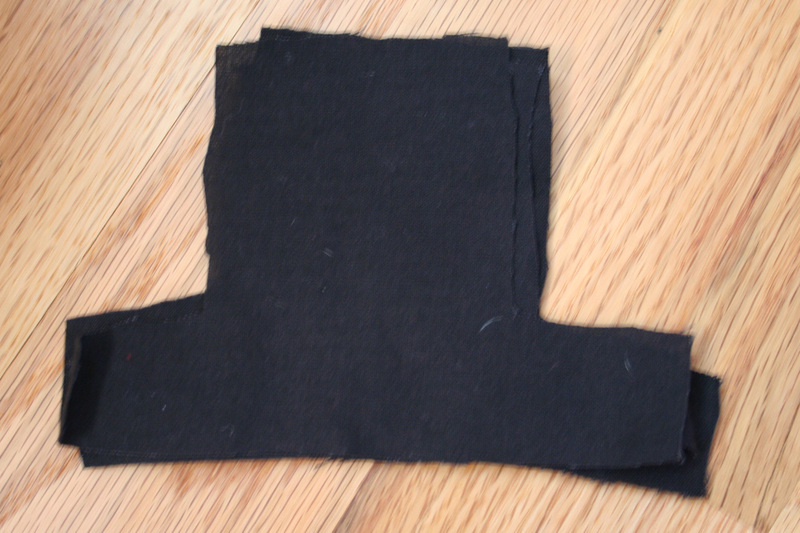 Cut out the hat shapes from black felt or fabric. The size will depend on the size of your bag, so that part is up to you! 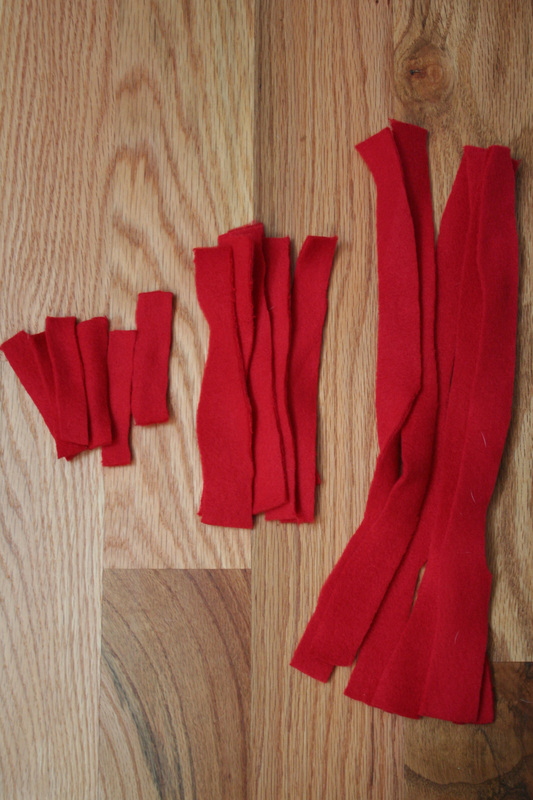 Cut out the strips of fleece. 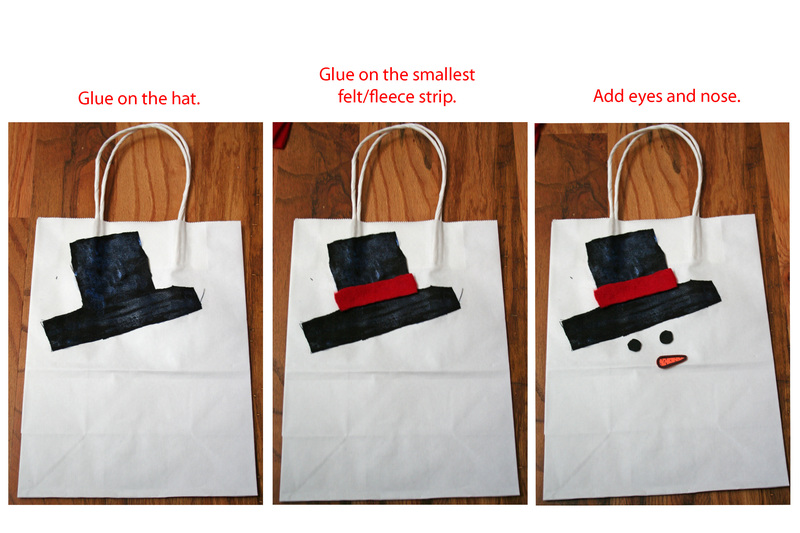 The shortest will need to be the same width as the small part of the hat. The longest strips will need to be about 10-12 inches long. 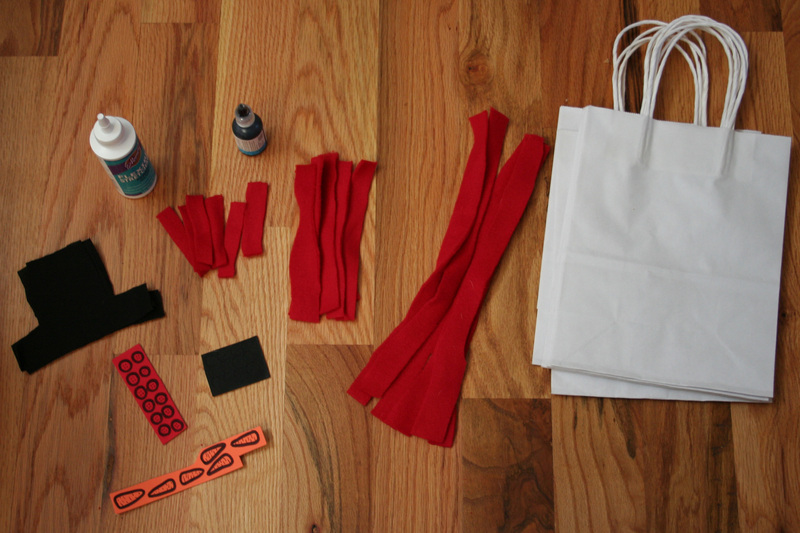 The medium strips can be made by cutting the long strips in half(5-6 inches long). Let the gluing begin! Glue on the hat. Glue on the smallest felt/fleece strip. Add eyes and a nose. 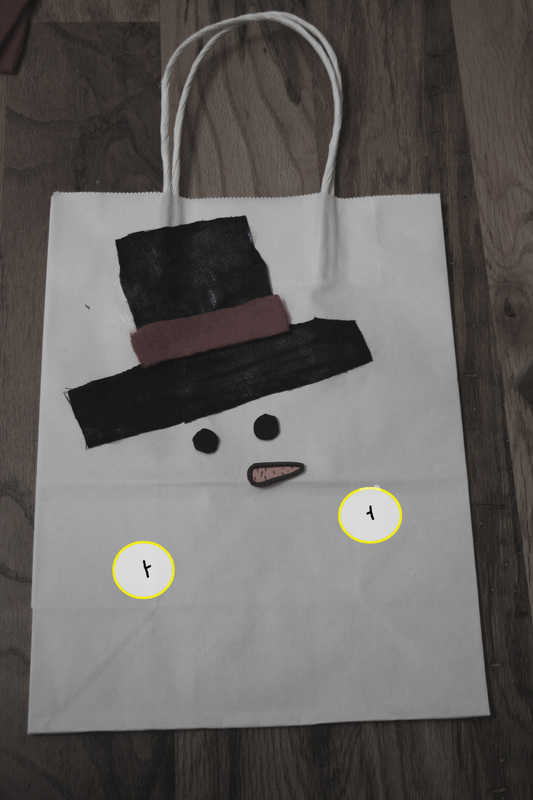 Mark the bag with little lines(one on each side, as seen below in the yellow circles), and cut the bag on those lines. 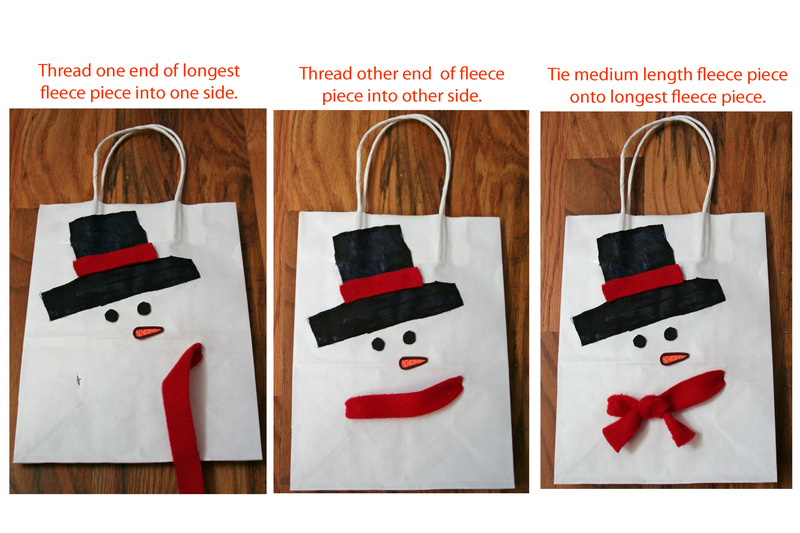 Thread the longest piece of fleece through the holes in the bag, and then tie the medium piece on to the longest piece to make a cute knot in the scarf. 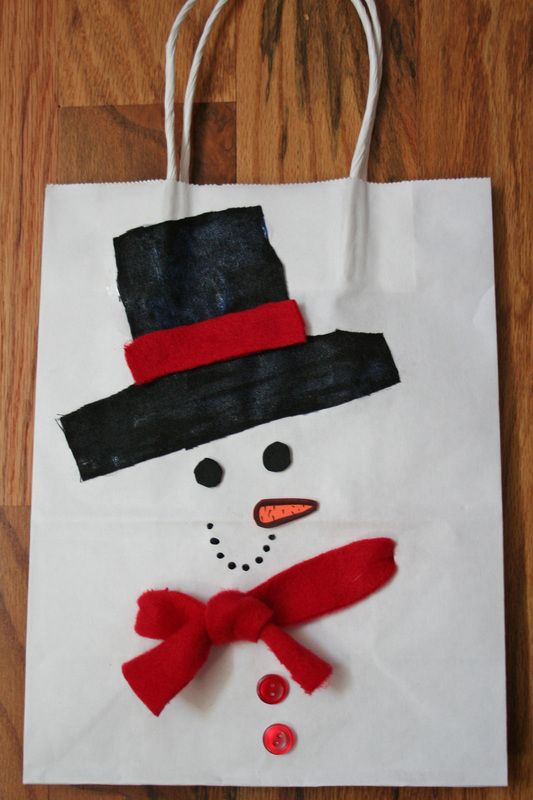 Add the buttons(with glue or craft dots if you’re using real buttons, or with foamie paper made to look like buttons). Draw in the smile. I used black puff paint dots to make it “pop” a little, but you could easily use a sharpie. 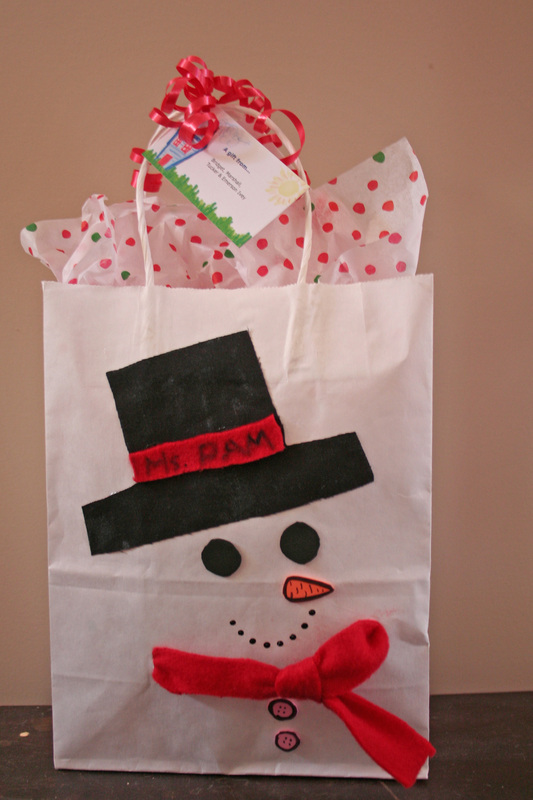 Add a little tissue paper, fluff it up, and you’ve got something you(and your kids) can enjoy and share with others!